The beautiful yard of Hollywood resident and Abington political activist, Robin Beall, was the setting for a small and intimate group that gathered for the wedding of Cai Ping Zhang and Randy Tang.  Randy called the Journeys of the Heart office just two weeks prior to discuss with Marguerite possible options for the wedding. After discovering that they had no venue ideas and were only planning on the attendance of Randy’s parents ,his sister, her husband and their children, Marguerite arrived at the perfect solution: the small, intimate, and exquisitely lovely back yard of her friend and neighbor, Robin. In their initial conversation Randy, who is Chinese-American, told Marguerite that Ping speaks little or no English. In addition, Ping’s parents and family are still in China and so there would be no one from her family in attendance. Marguerite has a long-time dear Chinese friend , Bik Wan Yeung (whose American name is Mary), who was called on for translator duties. Mary had never before served as a translator and was a bit nervous but Marguerite explained that she mostly wanted Ping to feel comfortable and wanted someone who would explain to her (Ping) what Marguerite wanted her to understand. Marguerite mostly wanted Mary to provide hospitality in their native language. The day of the wedding, a slightly overcast Wednesday, Mary arrived an hour early in order to review with Marguerite what would be her duties. Finally the wedding party arrived and both Mary and Marguerite were immediately struck by the beauty of the tiny Chinese bride, resplendent in her bright white wedding gown. Mary went to work immediately talking to the guests, welcoming them, offering them iced tea or water while Marguerite received the marriage license paperwork. Then everyone walked about 50 yards down the block to Robin’s back yard. As each one stepped inside, they responded with “Ohhhh” or “Ahhh this is so pretty.” Someone even asked if Robin created the yard especially for weddings, it was just that perfect. The crepe myrtle was in full and colorful fuchsia. And so the ceremony began. Marguerite had suggested that we have a video camera on hand so that Ping could send the ceremony to her family in China. In the ceremonial Words of Tribute to Parents, we mentioned Randy’s parents , Tim and Tina, who were present, along with Ping’s parents in China. Ping spoke their names in Chinese. Mary translated the words of gratitude to the parents so that the parents in China would hear, understand, and see their beautiful daughter on her wedding day. When it came to the vows, Mary had suggested making them as simple as possible. So it was agreed that Marguerite would say the words of the vows, Mary would translate, and Ping would assent with “I do” in English. Ping said “I do” both in English and in Cantonese which Marguerite, turning to the video camera, told her parents in China that she assented. The bride and groom were very sweet and tender with one another, offering the sweetest of kisses at the end of the ceremony and happy to oblige for any requests for kisses for photo purposes. We totally believe that sometimes Journeys of the Heart creates truly magical moments and circumstances and the wedding of Randy and Ping certainly a case in point. Perhaps some readers will believe in “coincidence” but we believe that there is a fine line between what some call coincidence and others call “miracle.” Here is why: Our translator, Mary, grew up in a small village in China and escaped in the 1960’s. Our bride, Ping, grew up in the same town. As Mary explained it, it would be as if, in the heart of China, someone from Jenkintown would come in contact with someone from Glenside. So Mary was not only fluent in Cantonese, she was able to speak to Ping in the particular dialect of their home village. It would be like someone from south Philly or Brooklyn hearing that familiar dialect that sounds like home. Coincidence? Miracle? You decide, dear reader. You know what I think. Where there is love, miracles abound! By the way, the entire family is employed by King’s Garden Chinese Restaurant. It’s an excellent restaurant located at 8225 Germantown Ave., Philadelphia, PA 19118. That’s Chestnut Hill. The phone number is 215-753-0246.